Central Government pledges up to $3 million to see Hundertwasser Art Gallery with Wairau Māori Art Gallery. ﻿It’s official, Northland has made it happen! The Hundertwasser Art Centre with Wairau Māori Art Gallery is set to become a reality after the Minister for Arts, Culture and Heritage pledged a time limited conditional offer to grant up to $3 million in support of the project in Whangarei today. Ground will be broken later this year with the grant to cover the remaining expected cost of the full build of the Hundertwasser Art Centre with Wairau Māori Art Gallery. The news comes just days after the NZ Lottery Grants Board announced a Significant Projects grant of $3.5 million which helped meet the project referendum goal of raising $16.25 million by June 30. The grant is the culmination of many years’ hard work to get the project off the ground for the community-led project that is run entirely by volunteers. The Honorable Maggie Barry announced the news at Te Kakano at the Whangarei Town Basin, alongside Whangarei MP Dr Shane Reti, who has been a tireless champion for the project at Central Government. This brings the total Govt contribution up to $7m for a project that will contribute an estimated $26m into the regional economy every year. “It has been my privilege to work with Whangarei District Council, Regional Council, Northland Inc and especially the dedicated HAC team who have worked tirelessly to bring this project to fruition. I believe today’s funding announcement is an acknowledgement of many people over many years who shared a vision that will now be realised,” says Dr Reti. HAC Project Director said project team is ecstatic with the news, and can’t wait to celebrate with the community. “We are beyond thrilled to conquer this hurdle. Of course, we now have the full build to manage and complete, but right now is a time of celebration. 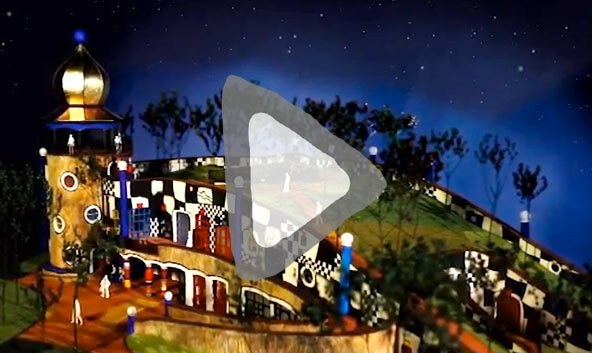 Hundertwasser Day will bring colour to Whangarei Town Basin and take place between 1pm-3pm. Music, art and prizes for the ‘Best Dressed’ Under 9-years, 10-15-years and 16-years and over will be up for grabs. The HAC project team has spent two years raising $21.7 million, an un-precedented effort by a wholly volunteer organisation.